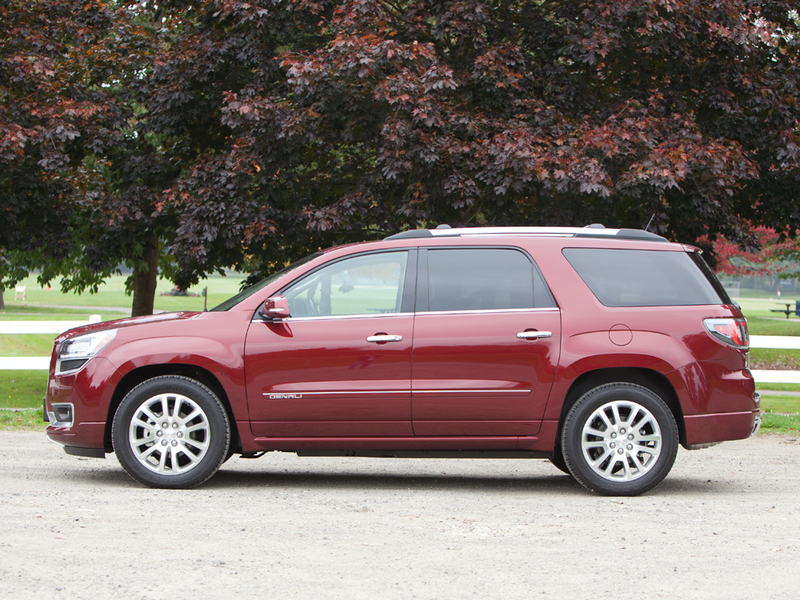 I recently had in my possession a 2016 GMC Acadia Denali AWD for 5 full days courtesy of the PR Firm, Weber Shandwick. I wanted to take a few minutes to tell you about the enjoyable experience. They dropped off the fully insured car at my house and gave me a tour of all the features. I was encouraged to use the Bluetooth equipped center stack to pair my phone to the car and to play music and make phone calls. 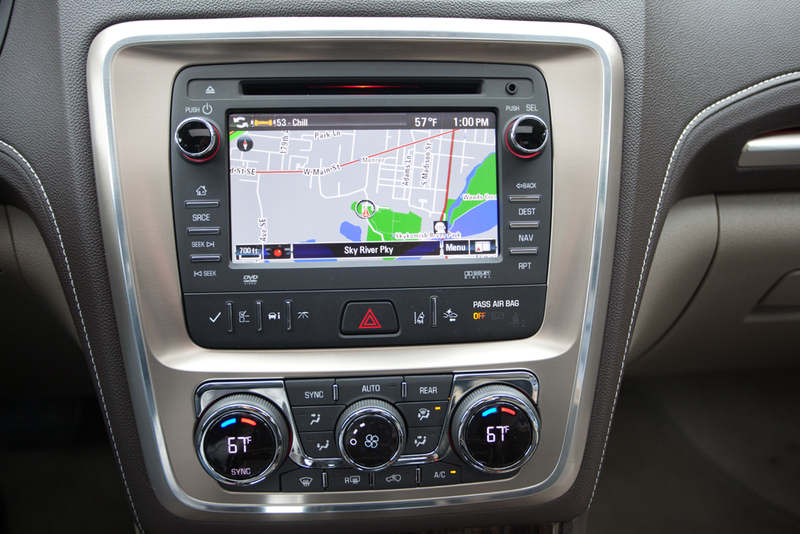 I was also invited to use the built-in 4G LTE Wi-Fi to test out the functionality of the mobile hot spot, as well as On Star to send turn-by-turn destination directions to the vehicle’s touch screen navigation system. Basically they wanted me to dig into the features to familiarize myself with them, which I did. 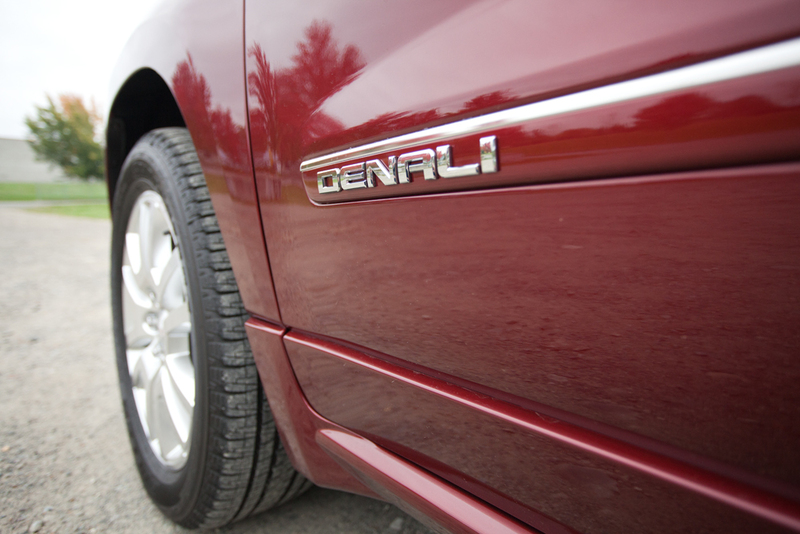 The vehicle was a fully loaded Denali model and the included technology was pretty impressive. The built-in 4G LTE Wi-Fi was one of my favorite tech features. Once you connect to the vehicle once, it always remembers your device and service never dropped out. You can connect up to 7 devices to the car and passengers can enjoy surfing the web as they ride down the highway in comfort and style. Making calls via voice command was easy and navigating through the touch screen menu was simple and intuitive. You could even pull up the weather forecast with one touch and pull up traffic conditions along your route. 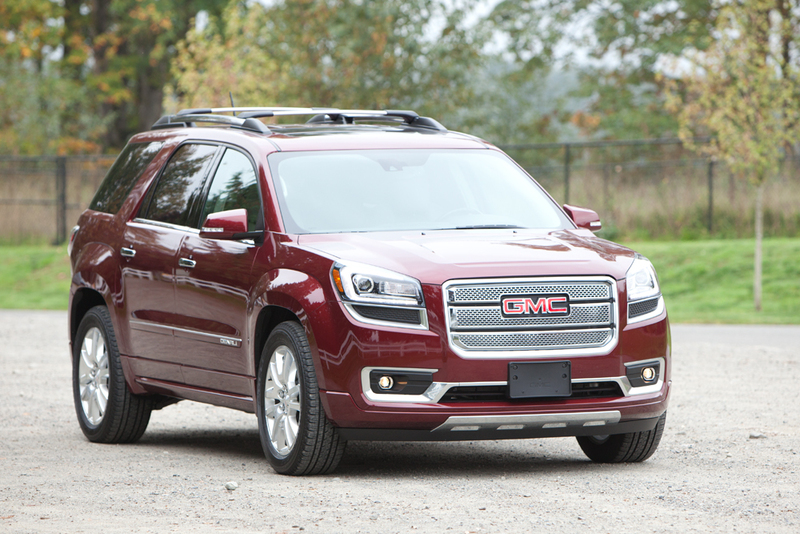 Speaking of style, I must admit that prior to having lived with one, I was never a big fan of the GMC SUV styling. 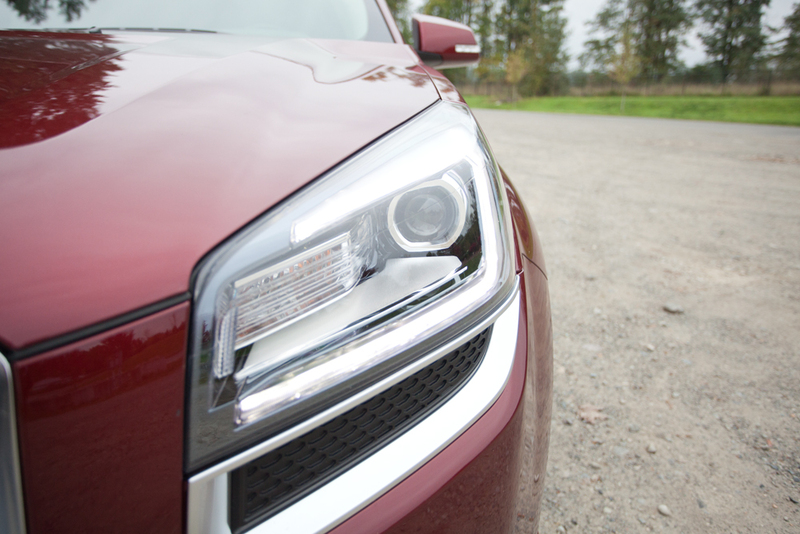 I think their smaller SUV’s and cross-overs need a major exterior style update if they want to appeal to guys like me, but once you step up to the larger Acadia and Yukon, the styling gets a lot better. 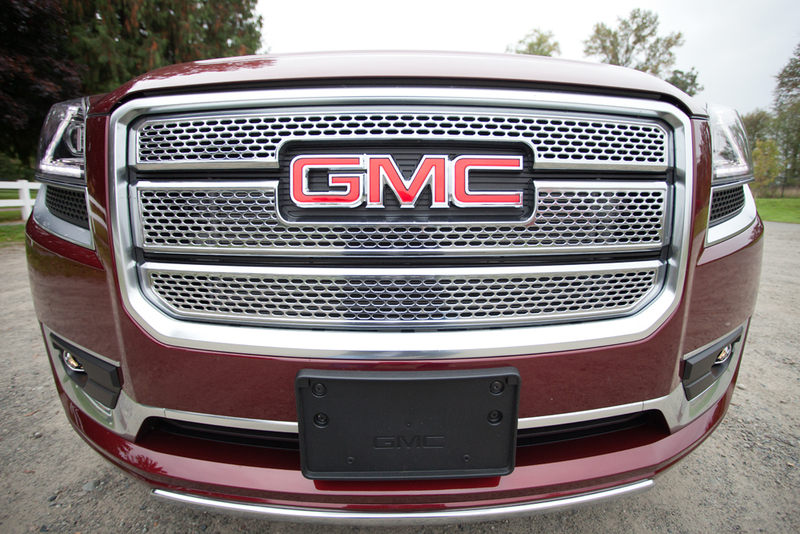 I also think the enormous GMC logo on the grill looks okay on their pickup trucks, but I think it could be scaled down a bit on the SUV’s. 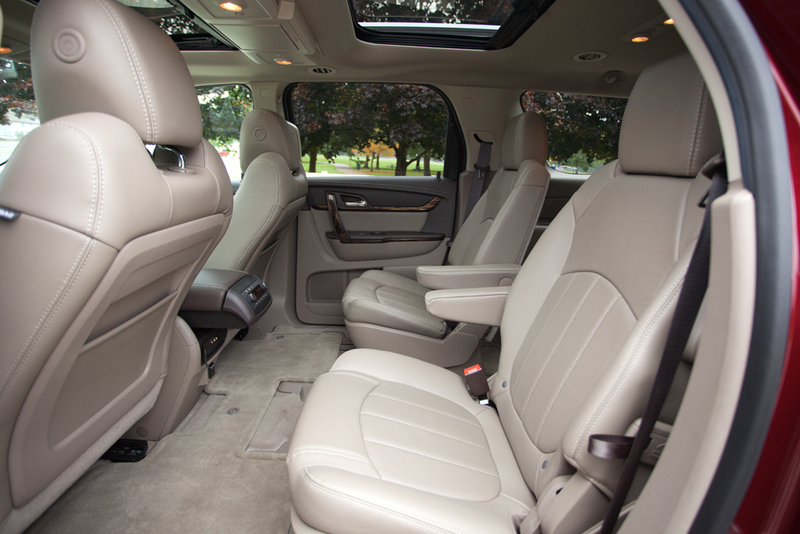 My vehicle came with a beautiful red exterior and tan leather interior with dark wood and champagne aluminum accents. 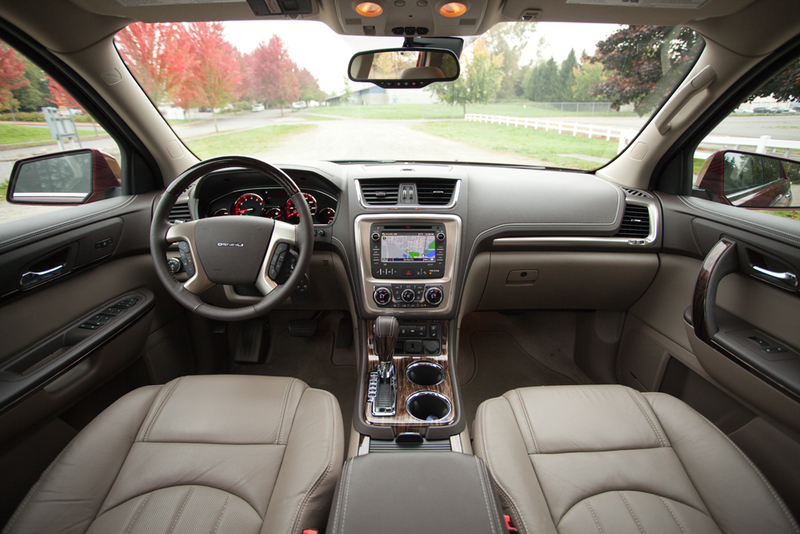 I’m more of a black & gray interior guy, but from the driver’s perspective, it looked nice. Fit and finish was great and learning the control locations was easy and intuitive. 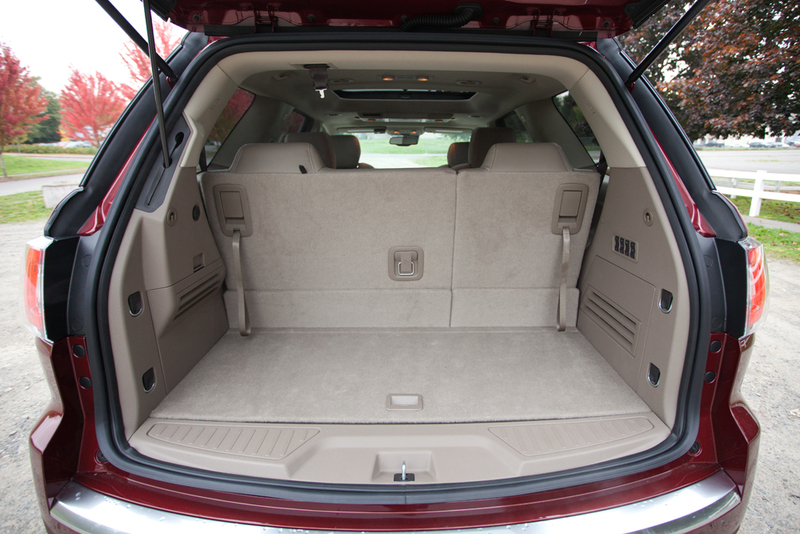 Cargo space was excellent. The second row had two captain’s chairs that could recline and slide a few inches front & back. Leg room and comfort in the 2nd row was great. 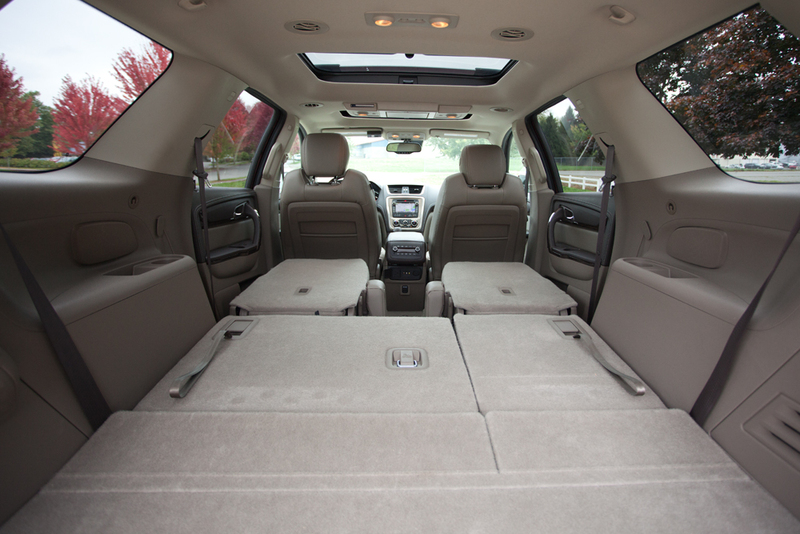 The third row bench seat folds down flat to open up cargo space, and with the 2nd row captain’s chairs folded down, the space became cavernous. On the road the handling and driving manners was great. 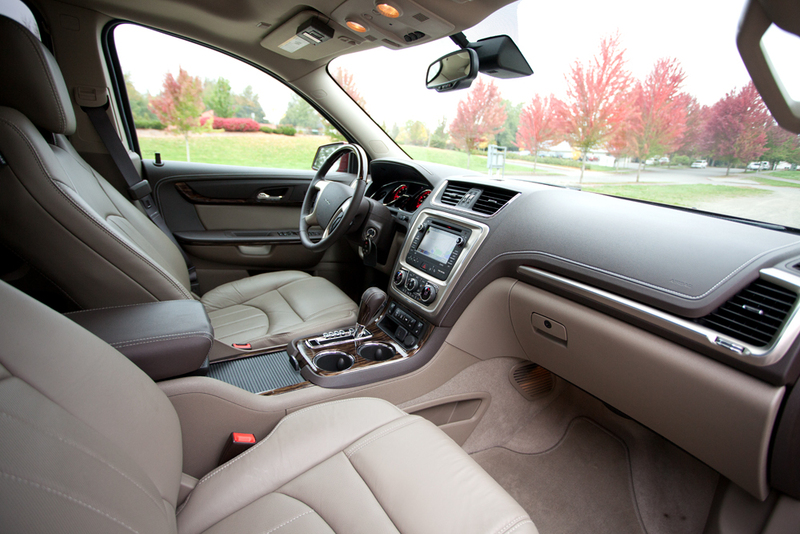 The interior was very quiet, the stereo system sounded amazing and the driver’s view of the road was outstanding. It is a bigger vehicle with tall 20” all-terrain tires, so it did feel a little like I was pretty high off the ground similar to a truck which made for a nice view out the front. 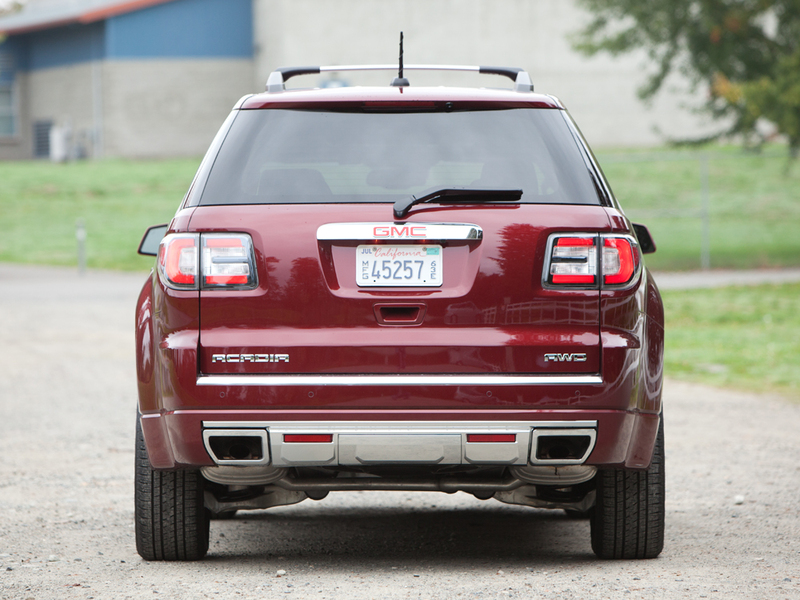 Parking or backing up a larger SUV might be intimating to some, but the back-up camera and large side mirrors made it really easy because you could see exactly where you were putting it. Of the few nit-picky things I noticed, one was the lack of a proximity key. I currently own a 2013 model year vehicle with a proximity key. This allows me to simply walk up to the car with my key in my pocket, put my hand in the door handle and open it. 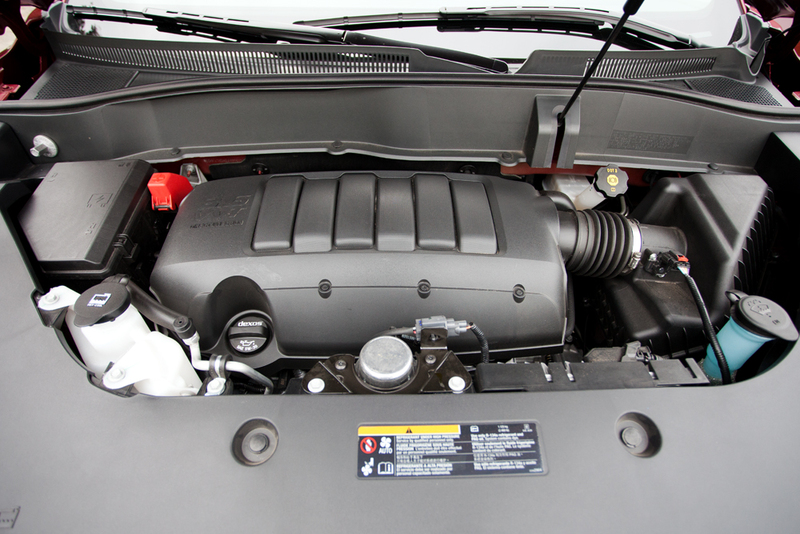 The 2016 model year GMC still uses a key fob. There were several occasions where my hands were full and I had to fish around in my pocket for the key fob to unlock the door. Not a huge deal, but after having a proximity key, it’s hard to go back. 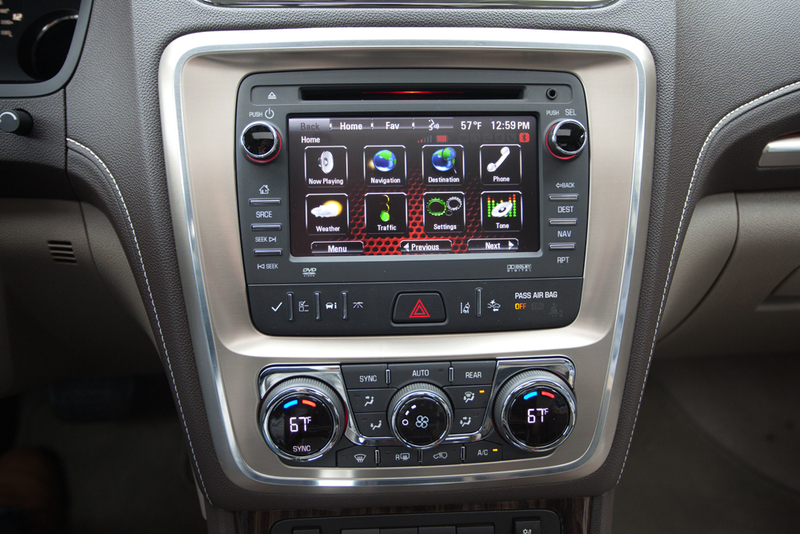 I also thought the Infotainment touch screen could be a little larger. 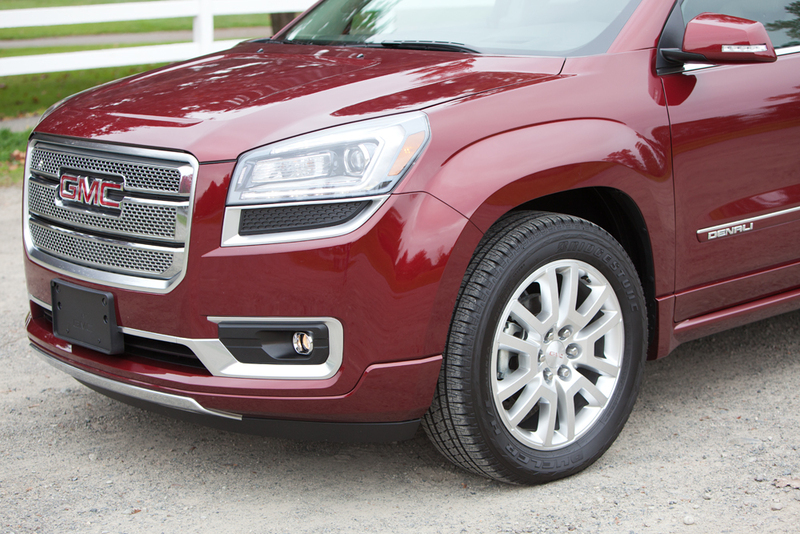 All in all, it’s a great vehicle that has tons of versatility. 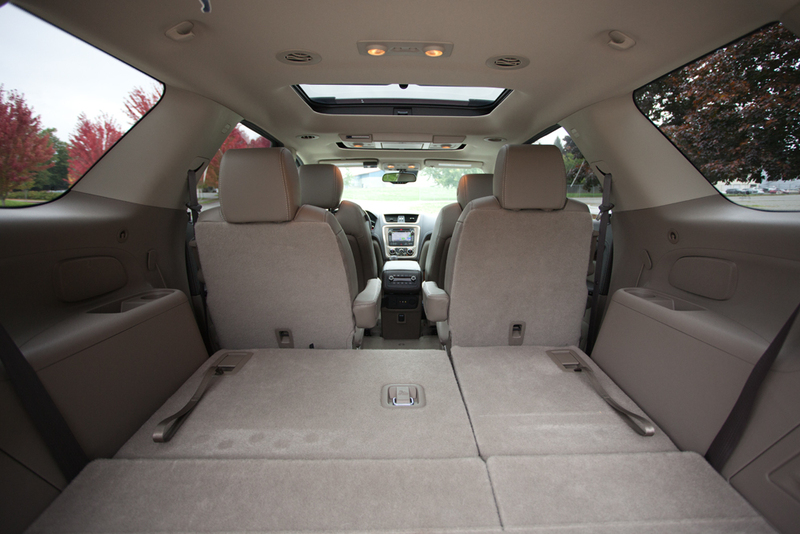 It has luxury, comfort, style, technology and cargo space. 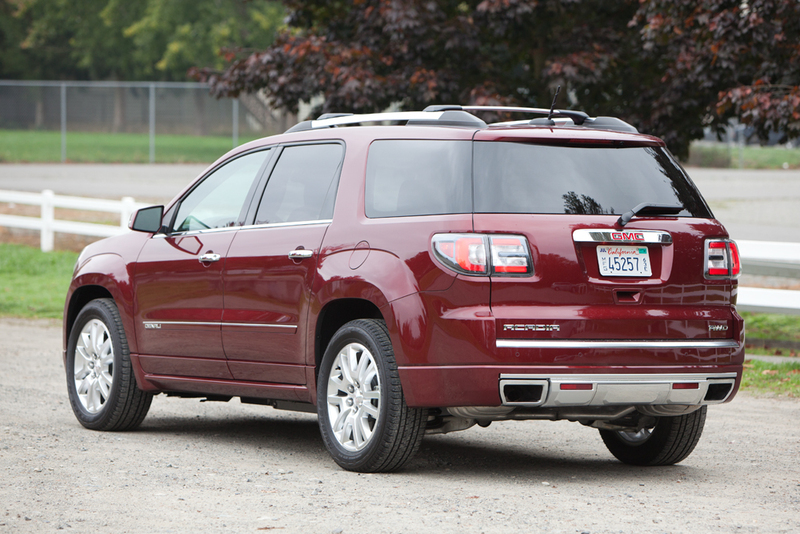 If you’re in the market for a 7-passenger SUV, you should definitely consider the GMC Acadia Denali.